My hair is long. So blow drying it takes forever. But I still do it everyday. But this week I’m protesting. I have better things to do. Bigger fish to fry. But did you know there is an unwritten rule that if you put a huge flower in your hair it doesn’t even matter? Yep, headbands and hairdryers don’t have to coexist. I stuck this one in my wet hair and I think it looks like I spent forever getting ready. So here’s to not blowing drying hair. Start with a normal silk flower. Just rip ‘er right off the stem. Make sure you get all the plastic parts out. Restack the flowery parts to your liking and pin them in place with a single pin. Sew a line of stitching about 1/2″ long. Backstitch. Sew it onto a piece of elastic or an elastic headband. 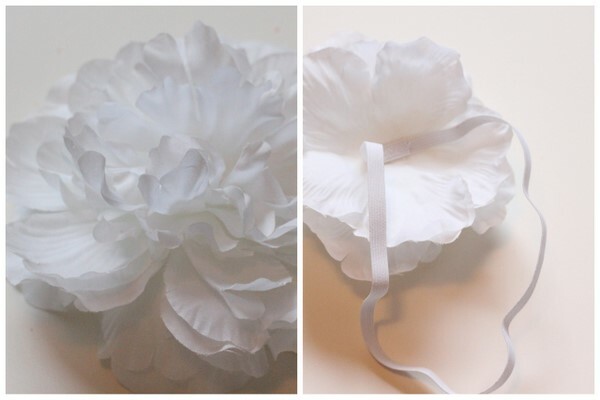 shabby apple knock off dress patternwork Pincushion Cactus Tutorial thrilled and frilled headband tutorial Ralph Lauren fashion quote free printable! Really Pretty. I love this idea, my head is spinning with ideas now!! LOVE it! my hair is super long too. when my hubs and i moved to africa last year, i did something bold- left my hair dryer in the States. (of course, i did bring my straightener on a whim at the last minute- a decision i don’t regret). however, i’ve loved not even having the option of drying my hair! now if i could just get my hands on some fake flowers… unlikely. YES! Headbands do mean you don’t need blow dried (or I might even say clean) hair. They are my beauty secret. Beautiful headband! And I feel your pain about looking 17; I’m a twenty-something mom who looks like a teenager, too. love it! and i agree, hair drying turns into such a chore! thanks for a new solution! Love it! And you are sooo much smarter than me. I always hotglued my flowers but i love that sewing it keeps it more “flowy”. Super cute! I need to make some for my protesting the hair dryer days too! I would love for you to link up to my Ten Buck Tuesday link party! Very nice tutorial! Love it! Love the flower, and the lipstick. I don’t have the guts (or the lipstick applying skills) to wear bright lipstick. Good for you. Do not ever worry about looking young!! It pays off! I always looked too young for my age and believe me, at 41, I am loving it. I LOVE this! I have a similar pink flower pin that I clip in my hair often and get so many compliments! I’ve always wanted to get more – or make one and now I know how! Thank for taking the mystery out of it for me!